The Alliance for Creativity and Entertainment (ACE), a group of about 30 major global entertainment companies and film studios including Amazon and Netflix, has settled for $14.5 million with the developer of an illegal set top box. 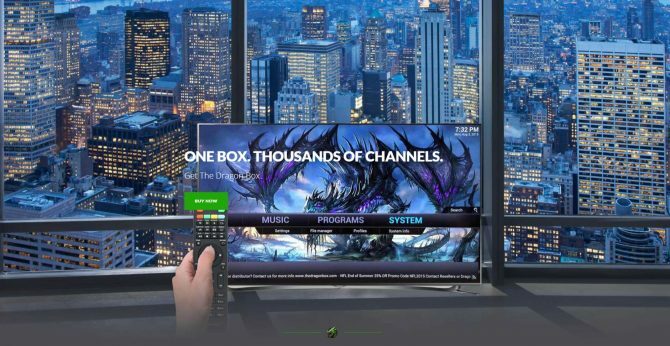 The developer, called Dragon Media, will also cease all activities related to selling the set top boxes, according to Variety. Dragon Media initially sold the Dragon Box which retailed for about $350. For that amount users got unlimited to access to free movies and TV channels. According to the company’s CEO, the box found its way to more than 250,000 customers. In September, the company switched its business model and started to offer a legal service called BlendTV where users could get access to sports, news, series and movies for subscriptions ranging from $39.95 to $84.95. Included was 30 hours of cloud PVR. Later, customers were directed to another service called Hub TV. With the settlement, Dragon Media will also need to stop offering both services. Meanwhile, both the Facebook page and the website itself now promotes herbal supplements called BioReigns. Possibly the company hopes to make some money back of its $14.5 million settlement. The Alliance for Creativity and Entertainment (ACE) is an organization that consists of the Motion Picture Association of America (MPAA), which represents all major Hollywood studios, combined with streaming media services like Amazon, Hulu and Netflix.